"Building People for Next Level Living Through Partnership"
Partnership with Overseer Perryman involves a covenant connection. It is a commitment to assist Overseer Curtis and Pastor Sophia Perryman with fulfilling their God-given destiny to Build People for Next Level Living by spreading the Gospel worldwide. Every soul saved and every life changed through partnership is credited to the Heavenly accounts of our Partners. A partner shares responsibility in some common activity with another individual or group. 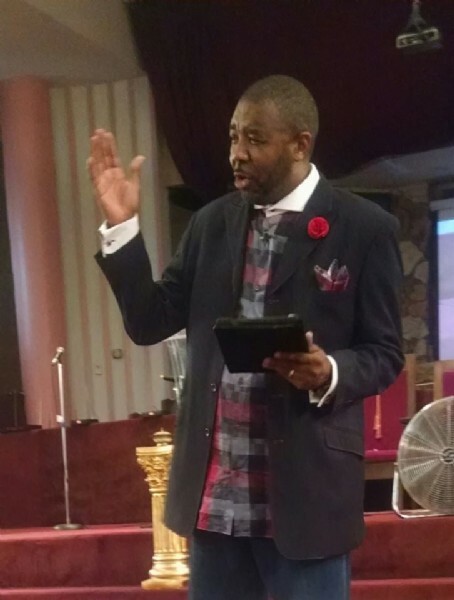 A Partner of Overseer Perryman is someone committed to this ministry and shares its vision. By no means is partnership just an avenue by which to raise finances. Instead, it is a mutual exchange of faithfulness. Overseer Curtis and Pastor Sophia Perryman faithfully and actively pray daily on behalf of their Partners. They declare the blessing-the empowerment to prosper and excel-on their Partners. Partners of this ministry have a right to connect to the anointing that is on this ministry so that they, too, can prosper spiritually, socially, mentally, physically, emotionally and financially. Overseer Curtis and Pastor Sophia Perryman, and their entire team, strive to reciprocate in meaningful ways the commitment that our Partners show. We endeavor to provide first-class service and quality products. Our Partner Relations department is equipped to help our Partners maximize their partnership experience. As far as we are concerned, all of our Partners are VIPs (Very Important Partners)! Study and diligently seek the Word of God. Minister to you monthly through a personal letter from Curtis Perryman. Furnish you with an official partner certificate. Provide quality customer service and products. Attend meetings in your area. Always pray for Overseer Curtis Perryman, his family and his Ministry Team. Contact us periodically within a two-year period. Support us financially with your monthly pledge: "Not because I desire a gift: but I desire fruit that may abound to your account" (Philippians 4:17). Consider becoming a Partner today, and together we can impact the world for Jesus Christ. To become a partner, simply provide the requested information below, or call our office (323) 238 - 9915. To start your monthly partnership donations please click here.